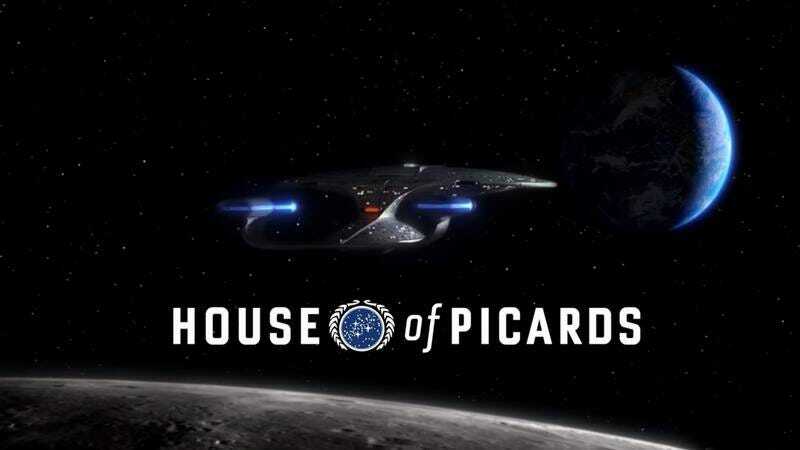 Because you can’t spell (Star Trek: The Next Generation’s) Captain Picard without “card,” and House of Cards is a very popular Netflix show, the Internet God of Mashups demands that “House of Picards” sizzle up from the ether. In this short, Patrick Stewart’s Picard is recast as a political schemer in the mold of Kevin Spacey’s Frank Underwood in House of Cards, though the end result makes Picard look more badass than Machiavellian. It’s usually a mistake to compare two fictions as different as Cards and Trek, but since the video invites it, let’s just come out and say that Picard would wipe the floor with Underwood. Underwood might be devious, but Picard is ruthlessly competent. Plus, since just about every Admiral in Starfleet is either bonkers or corrupt, the Captain’s race to the top would be arguably more gratifying than Underwood’s ascension. Next up: the Sisko/Sisqo mashup no one asked for.